While many commercial investors succeed beyond their wildest dreams, there are other commercial investors fail miserably. What causes such a great disparity? Why do some aspiring investors fail? In addition to all we have learned from decades of mentoring others, we also reached out to the best and brightest in the industry to assemble a list of the most costly mistakes that commercial real estate investors can commit. The following are 7 incredibly destructive reasons why some aspiring investors never reach their full potential, or worse, when commercial investors fail. I want to share what their answers were and offer you a few solutions to these common reasons real estate investors fail. Many of these successful investors said that their biggest failure or mistake was that they waited on the sidelines for the perfect time to jump on a deal, but it never came. Nothing is more expensive than a missed opportunity. A direct quote from one of the investors was, “All of our all-time best deals were created, not waited upon.” So the question is, why were these opportunities missed? I have a list of five reasons why opportunities are missed. Fear: The fear of moving forward with a deal or of making a mistake. Misinformation: There is a lot of misinformation floating around. What you believe and who you take guidance from will make all the difference. Analysis paralysis: This means doing too much homework, but not taking enough action. You can go to seminars, watch webinars, and books, but this is missed opportunity, if you do not apply action. Lack of knowledge: We are constantly seeking knowledge. Isolation: When you try to do everything on your own without getting any help. You have the mindset to do everything yourself, but then you end up doing nothing at all. People typically learn in one of three ways. People rely on the experience of their friends and family to show them what to do, but most of the time, they do not really have the time to walk you through the entire process. The second way people learn is by trial and error. This can be very expensive, time-consuming, and frustrating. The third way to learn is to secure the aid of a mentor, who cares about their vision, wants to shares their vision, and has a vested interest in your success. One of the biggest reasons why a commercial real estate property fails is because the operating expenses of a commercial property were underestimated. The industry-standard property expenses for commercial properties, can differ from state to state by as much as 30% . If you compare a commercial property that’s in Denver, Colorado, and similar property in Dallas, Texas, the property expenses are 30% higher in Texas. Same purchase price, same income, but the property expenses are 30% higher. This is something that you need to be aware of. If you don’t know how to estimate expenses accurately, do not rely on the seller’s property information, or broker’s property brochure because both of these are 100% incorrect, 100% of the time. After investing and teaching in commercial real estate for about two decades now, we’ve developed, I would say, 12 different calculations, or what I call KPIs. KPI is short for Key Performance Indicators. Those indicators tell us right away if a deal is good, average, or ugly. It’s taken years and tons of good deals, average deals, and ugly deals, to be able to share these with my students, in a very understandable way. You have to know which market trends are important, which are the ones that are the hardest to find. You also need to know which ones are not important and the easiest to find and used by everyone. Experience in investing will help you know how to decide which trends are important to your investment objectives. Secondly, you must know about supply and demand. You need to know when your market will reach its tipping point, or your equity in the property could be trapped until the next market cycle. This is not good if you’re using commercial real estate as a retirement vehicle. You also need to know all of the little things that can have a huge impact on your property. Rent control laws and how to get around them, unwrapping large profits in lease audits and lease restructures, and having strategies for realizing the upside potential on the property. Those things are what equates to real wealth. 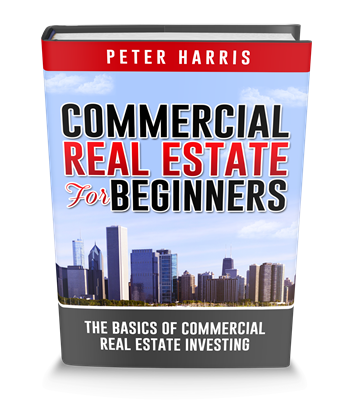 I took a class in commercial estate leasing, and a professor told me, “When you’re analyzing commercial real estate and there are leases involved, the leases are so important that when you buy the property, you’re actually buying the leases, and the property comes for free.” That’s how important leases are. Leases are so important to analyzing your market effectively. The solution is information utilization. This means you need to be able to roll your market and you deal date into the appropriate deal technique. It takes experience to shortcut you to success. Creative financing can be one of the greatest ways to acquire commercial real estate, and it’s one of my favorite ways to buy. But if your exit strategy is not well-designed, you could lose all of your profits and credibility, waste all of your hard work, and it could even cause a swift departure from the commercial real estate investing business. Having multiple, well-thought-out, razor-sharp exit strategies is the key to making money and having lasting power in this business, instead of being a one-deal or two-deal success. . The key is to have an exit strategy figured out before purchasing the property. Exit strategies shouldn’t be complicated. It must be simple enough to execute in a conservative and a timely manner. Some exit strategies include a cash-out refinance, a sales leaseback, a 1031 exchange, a reverse 1031 exchange, and many more. The solution is to get good at designing these exist strategies. This one was probably the one where we did the most research on, because we got the most feedback on it. When you are not knowledgeable enough in structuring deals it will cause missed opportunities for motivated sellers. A seller who is ready to retire and owns a property free and clear, but has capital gains tax concerns. This is a great situation to take advantage of and create a win-win for you and the seller. A burnt out seller who’s commercial loan is assumable, but has a large pre-pay penalty. Next is the seller’s nearing foreclosure, has lots of equity, but neither of you qualify for a loan. What do you do in this case? The seller lives out of state is absent from the deal physically and mentally. He wants to do a 1031 tax-deferred exchange. The seller wants to “JV,” or joint venture, with you. This is a great opportunity, but you have to be very careful. He has already set up a profit split structure of 50/50 the first tier, and 80/20 the second tier. If a Joint ventures reaches a certain benchmark, the profits are split 50/50. If you reach benchmark number two, then the profits go 80% to you, and 20% to him. This is not typical, but it’s something that we’ve done in the past that you should be open to. This is also, again, a missed opportunity. These are quite typical seller scenarios that you’re going to run into once you’re in the real estate investing business. You must know how to approach each and what technique to apply. If you can’t, then you’re going to lose out on that one deal. As the deal fits, you’re going to have to learn where and when to incorporate things such as a master lease agreement, seller-carry first mortgage, seller-carry second mortgage, installment sales, and other creative commercial real estate strategies. When my fellow investors looked back, they regretted thinking too small, but also their self-limiting beliefs. When faced with decision to buy a 5 unit or 60 unit apartment, many chose the 5 unit apartment building. By the time they bought and closed the 5-unit, they realized that it would have been the same amount of work as the 60-units, and I totally agree. The biggest reason why people quit pursuing commercial real estate is because of a lack of focus. The person who chases two rabbits catches neither. The entire acquisition process is actually the same for an apartment building, a shopping center, an office building, self-storage, mobile home park, etc, and the principle behind the process is the same, too. An investor who does not follow a proven and focused process will chase multiple rabbits at once, catch neither, and will go home with nothing but an unfulfilled dream. Nearly all of us, myself included, can really relate to that. How we have chased many things over the years, but because we didn’t focus, we’re holding onto nothing with no real results. I have an acronym for focus. F-O-C-U-S equals Follow One Course Until Successful. That’s what I do and what I teach my students to do. Our most successful students aren’t the ones with the most money. They are the ones that follow our process to the T and focus on the right things. Peter is one of the most authentic advisors I have come across. Fair and smart. Other than having money for closing costs, understanding the contracts and having money to hire a smart personal assistant. The i think is cause investors are not contractors yall don’t know carpentry, and commercial construction, yall lose so much more profit cause of that contractors should be the only one doing real estate investors. I got 20 years fixing properties and commercial constuction. Im show yall how do it. 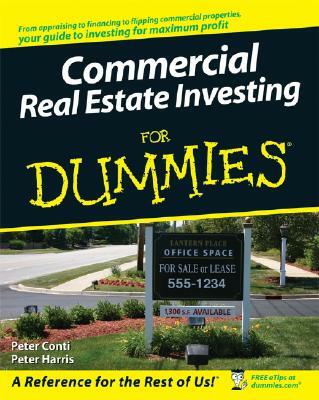 Im flip commercial buildings im now ready waiting for real estate crash then im show yall lol…. Thank you so much for this video. They are all important topics that are generally going to fail, at least, one from the seven. By now, I’d like to alert you to a thing that you have done in this video which is important to investors abroad: writing basically all that you speak. This is useful to those like me that are fans of CPA, but are out of The States. As you know, all of your advices are equally important, not only for american investors, but to all of your followers around the world. So, believe me, you are always ready to coaching everyone, everywhere. This is my feedback for today. Awesome information Peter, I’d like to learn more. I’ve been a student investor for a couple years. Continued Success personally and professionally!!! What are some of the major commercial real estate resources that can help me study market trends and opportunities in Arizona as well as internationally. Long term goal is to own real estate around the world. Doesn’t have to be massive amounts, just enough to make sure my family is blessed when I am gone. Thank you for your advice. Nice training! What is the next step to take? I need more information regarding your coaching program. Keep on sharing your knowledge with us, Peter. All, I am reall excited to get started.